Backed with cutting edge technology, we are engaged in offering oil expellers that are highly efficient, durable and flexible. These are manufactured by our experienced experts and thus our every machinery is equipped with powerful motors and gears making them powerful. 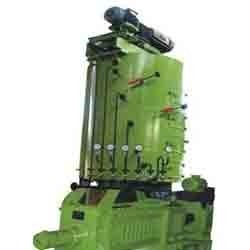 We are well reputed oil expeller manufacturer offering these oil expellers at market leading prices. 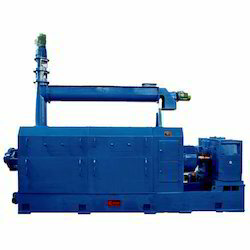 HP will vary according to the type of seed or oil recovery ratio. We offer Single Chamber Oil Expeller that are perfectly designed for greater flexibility, capacity and efficiency. These expellers are based on the latest design and technology. Due to the constant in house R & D, these expellers results in energy efficient expellers. 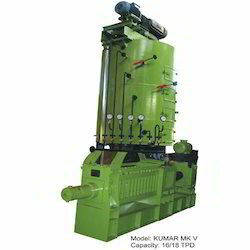 Our expellers are designed for crushing all types of oil seeds like sunflower, mustard, groundnut, sesame, soybean, copra, palm kernel, jatropha, shea nut and various other edible and non edible oil seeds. Maximum oil yield at low operating cost. Easy and time saving main worm shaft removal. Special designed locking type clamping bars and bolts. Worms and collars are hardened and tempered. Cage bars are hardened and tempered. Heavy duty bearings for thrust loads. Low residual oil content in cake. New generation ‘ce’ marked triple reduction gear box coupled independently with motor. These are high efficiency, power saving and low maintenance and least down time. Easy worm shaft removal without disturbing the gear box assembly. Single piece steel cast chamber cages vertical split type hinged to body for easy and fast opening and closing for maintenance with the help of ratchet operating chamber hoist. Self locking type clamping bolts, individual piece can be removed. therefore require minimum labour. Heavy duty cage bars for higher load duty. • Maximum oil yield at low operating cost. • Can crush all type of edible and non-edible oil seeds. • Easy and time saving main worm shaft removal without disturbing the gear box assembly. • Vertical split hinged main cages provided with cage lifting or opening attachment for safe, quick and effortless maintenance. • Special designed locking type clamping bars & bolts to enable easy tightening & removal of the cage. • Fully enclosed cage with built in screw conveyor at base for conveying oil and foots which keeps the shop floor neat and clean. • Steel cast, hobbed helical gears with induction hardening completely assembled on a single piece hollow driving sleeve with heavy duty taper roller bearing to make alignment perfect and friction free for energy conservation. • Extra heavy duty spherical roller thrust Bearing on Expeller main shaft for preventing any damage to the gear box, during reverse rotation of the main shaft when the machine is chocked. • Multistage vertical stack cooker for proper conditioning of the seeds. • All the bearings are lubricated with the help of a motorized pump to enhance the bearing life. • We supply all the expellers with independent gear box which ensure low maintenance, reduced noise levels and less power consumption. • Manufactured in compliance with applicable European Directives. We offer Triple Chamber Oil Expeller that are designed for greater flexibility, capacity and efficiency. 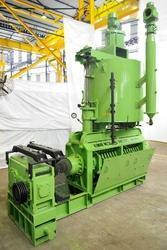 The expellers are supplied with 2 to 6 stage stack cooker for conditioning the oil seeds before crushing. These cookers are self driven with their independent geared motor. 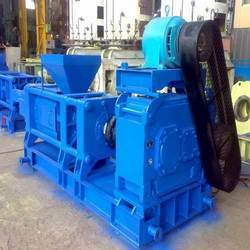 These expellers are designed for crushing all types of oil seeds like sunflower, mustard, groundnut, sesame, soybean, copra, palm kernel, jatropha, shea nut and various other edible and non edible oil seeds. Maximum oil recovery due to longer residence time in chamber.